Matchbox is an 800 sq ft studio for hire in Gloucester. 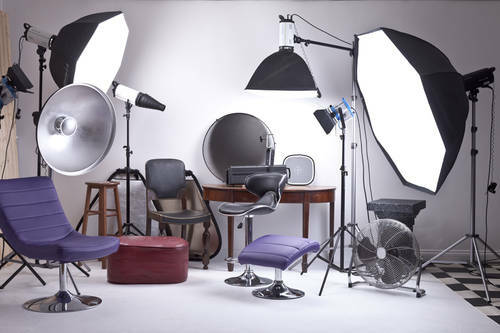 We are located just 10 minutes walk from the city centre, on the Bristol Road, the studio is available for professional and amateur photo shoots, filming / videos and private hire. Based in the Morelands Trading Estate (Bizspace) Gloucester, (The former "England's Glory" match factory) we are a ten minute drive from the train station and generally central to the whole of Gloucestershire. Cheltenham is less than half an hour away, and Junction 12 of the M5 just a 10-minute drive along the A38, offering quick and easy access to both southbound and northbound routes. We have heating, a white cove area, various fabric backdrops, brightly coloured / papered walls, and 3 large industrial windows offering lots of natural light images. Other kit includes: A large beauty 72cm dish with grid and diffuser, small 42cm beauty, dish large octagonal softbox with grid, 200cm x 40cm Wafer and grid, various smaller boxes, reflectors, flags, barn doors + gels, snoot, a sturdy boom arm, flash triggers and receivers. Props: Upright Piano, double bed, 1 swing, white leather sofa & chair, stools, chairs, benches, table, many different fabrics and ornaments. There is a separate enclosed changing / makeup room. We provide refreshments, there is also free parking available. Our price structure is simple... £15 per hour (weekdays 9am - 7pm £20 per hour 7pm onwards) £25 per hour (weekends and Bank Holidays) minimum two hour booking please. Group bookings welcome. Commercial Rates by negotiation. Booking fees apply.